Henry Brown was a son of William Brown and Elsie/Alice Tymond. He moved around a bit in his life and finally settled in Oil Springs, Lambton County, Ontario. August 29, 2014 titled: The Children of William Brown & Elsie: Henry Brown. I also visiting the Oil Springs Cemetery in September of 2014 and viewed Henry’s tombstone which was shared by his wife Margaret and daughter Ann. See the post on this blog dated September 22, 2014 “Ontario Wanderings: Oil Springs and Their Cemetery.” In this post I shared my visit to the cemetery but really didn’t feature the tombstone in detail. This is the backside of the tombstone in the Oil Springs Cemetery. Benjamin Yates 1812 to 1888 His wife Phoebe Cornell. It is my opinion these are the parents of George Cornell Yates. Henry Brown 1820 to 1899 His Wife Margaret Orr 1824 to 1900. These are Ann’s parents. 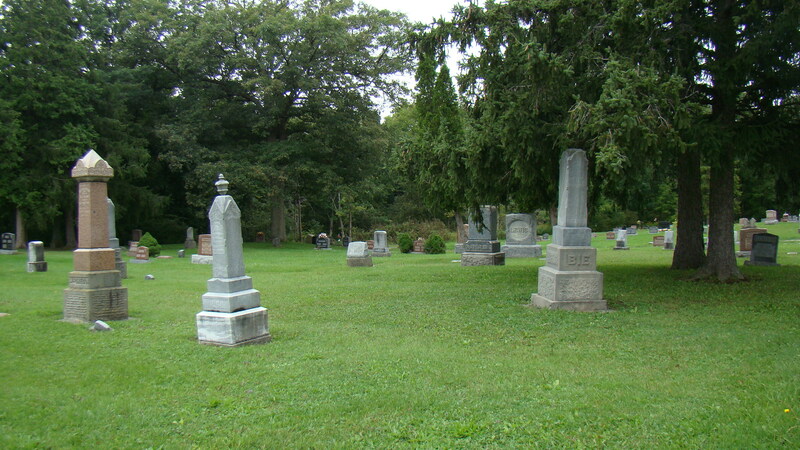 These stones are also featured at Find A Grave. Henry and Margaret Brown may have had a second daughter Elizabeth born in July 1866 but she didn’t survive dying 17 October 1866 in 8 Concession of Rawdon Twp., Hastings Co., Ontario. I have shared in the posts I have indicated in this blog about Henry Brown and Margaret Orr his wife. Unfortunately, we do not know much about Margaret and her family. Her father might have been Joseph Orr and her mother a Mary Carter. In the next posts I want to share more about Henry’s brothers’ families, Thomas and Philip Brown who remained in Hastings Co., Ontario. This entry was posted in Anna Jane Brown Yates & George Cornell Yates Family, Hastings Co., Henry Brown 1820 to 1899, Lambton Co., Margaret Orr 1824 to 1900, Oil Springs, Oil Springs Cemetery Lambton County, Rawdon Twp., Trip to Ontario and Canada 2014, Wyoming and tagged Brown Family, Canadian genealogy, Cemeteries in Lambton County, Genealogy in Lambton County Ontario on February 20, 2015 by BJ MacDonald. After visiting Petrolia I headed further south on Hwy 21 to Oil Springs.  I passed Oil City and their cemetery and was soon in the town of Oil Springs. I drove around a little and was sad to see many stores vacant an abandoned. This is where Henry Brown and Margaret lived. He was an uncle to my great-grandfather Richard Brown and brother to George Brown my 2nd great-grandfather. 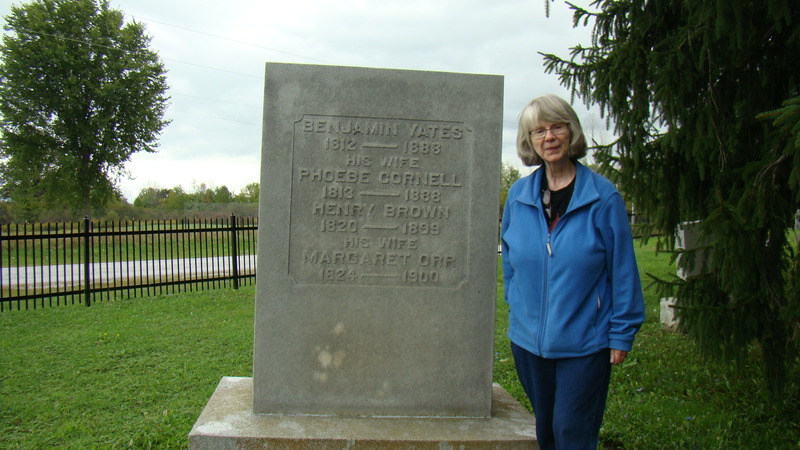 My biggest task for Lambton was to see the towns but mostly to find the Oil Springs Cemetery and seek out the tombstones for Henry, Margaret Brown and their daughter Anne’s family the Yates. 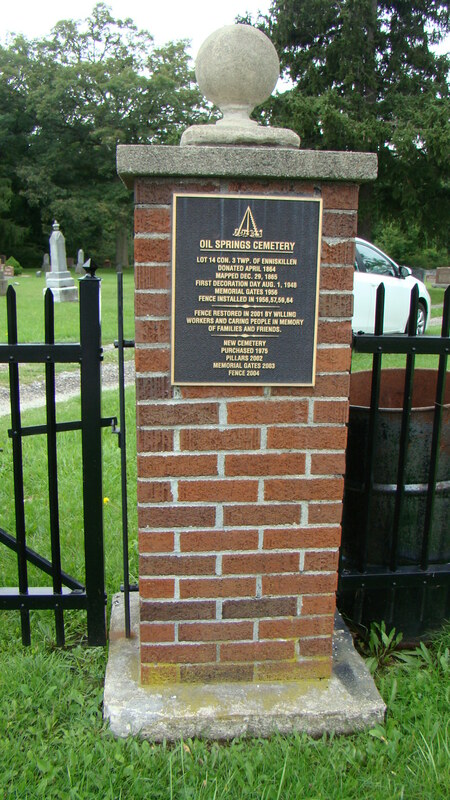 The Oil Springs Cemetery is located on S. Plank Road. You turn onto Oil Springs Line to the right going west from Hwy 21 drive a short while till you find S. Plank. It is paved but also a little gravelly and not a fancy highway with a yellow line. As I was wandering this cemetery I heard a noise and there was a man driving by on a very old style motorcycle which was making puttering sounds. A few minutes later he came roaring by. You never know what you will see when you go cemetery hunting. The map I had for the cemetery took a little while to figure out but I finally decided that the stones I was looking for were closer to the gate and fence on the west side of the cemetery. 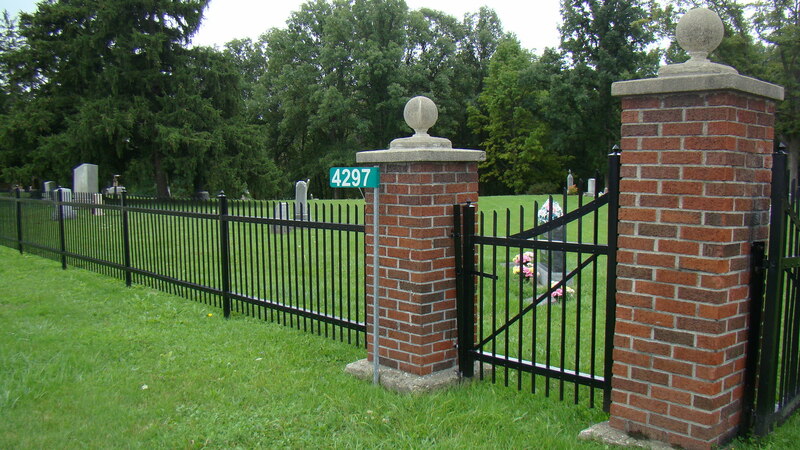 This cemetery is on both sides of the road. It is a medium-sized cemetery so study a cemetery book before you go to get an idea where you need to look. It is also on a slope toward the back. It took a while but I found them up near the fence and the tombstone is huge. This side of the stone’s information is on Find A Grave under Yates. The other side is not featured. On the other side of the stone we find Henry and Margaret Orr Brown. Henry is a second great grand-uncle to me. Here I am with Ann Jane Brown’s side, Henry and Margaret’s only daughter and child, a 1st cousin 3 x’s removed. You can see that it is very large stone and it is tilting. I am 5 ft 4 inches and you can get an idea of just how large it is and massive. This entry was posted in Anna Jane Brown Yates & George Cornell Yates Family, George and Esther Brown, Henry Brown 1820 to 1899, Lambton Co., Margaret Orr 1824 to 1900, Oil Springs, Oil Springs Cemetery Lambton County, Trip to Ontario and Canada 2014 and tagged Lampton County Cemeteries on September 22, 2014 by BJ MacDonald. Henry Brown was born on 5 November 1820 in County Longford, Ireland and he died on 18 September 1899 in Oil Springs, Lambton Co., Ontario. He married Margaret Orr about 1840 in Hastings County, Ontario. She was born about 1824 in Belfast, Ireland and died about 1900 in Oil Springs, Lambton Co., Ontario. Both are buried in the Oil Springs Cemetery. Margaret is probably the daughter of Joseph Orr and Mary Carter. Henry settled in Hastings County, Ontario and had land there. Hastings and Prince Edward Counties (Ontario Map Ref #28 and #29) Illustrated historical atlas of the counties of Hastings and Prince Edward, Ont. Toronto : H. Belden & Co., 1878. 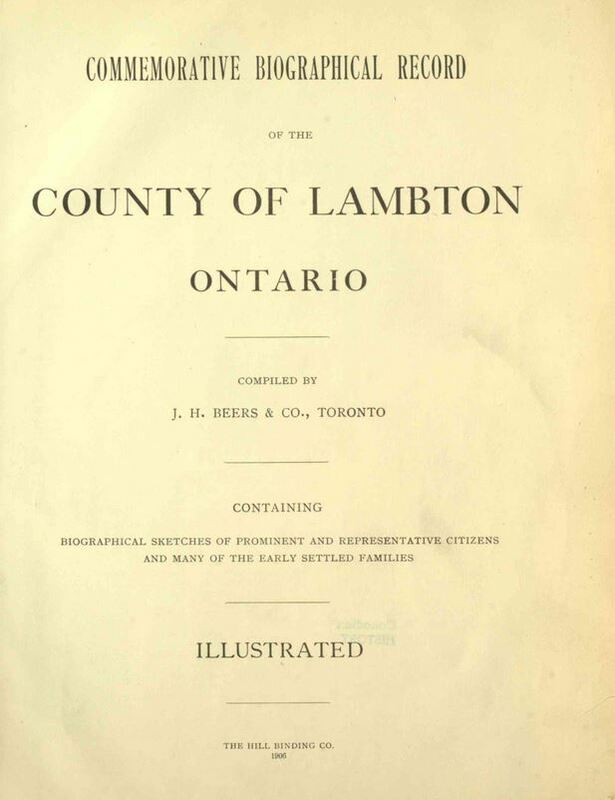 Source: Commemorative Biographical Record of the County of Lambton, Ontario., Hill Binding Co., 1906, Compiler J.H. Beers & Co., Toronto. pg. 128: Henry Brown father of Mrs. Yates, was born Nov. 5, 1820 in Ireland. He was of Holland descent, however, his ancestors having come over with King William through his parents, William and Alice (Tymond) Brown, were also born in Ireland, where she latter died. She was a granddaughter of John Tymond, the military engineer who built the Tymond iron bridge, in County Limerick, Ireland, which was name after him. After his wife’s death William Brown came to Canada with his family and settled in Hastings County, where his life closed. He was the father of a family of twelve children, all of whom have passed away. The father of Mrs. Yates was the youngest of this large family and he was afforded excellent educational advantages in Ireland. After coming to Canada he taught school for a short time, after which he engaged in farming. On Dec. 5, 1840, Henry Brown as married to Miss Margaret Orr, who was born in 1824, near the city of Belfast, daughter of Joseph and Mary (Carter) Orr, who were born and reared in Ireland, and died there. Henry Brown was a farmer in his younger days, and later on engaged in work as a clerk for the village of Sterling, Hastings County, and his penmanship may yet be seen in the old deeds and official papers of that time. During the Mackenzie rebellion he served as soldier for three years and was honorably discharged. In 1861 Mr. Brown removed to Lambton County and settled in Oil Springs, where he became interested in the handling of real estate and in the production of oil. In 1863 he was elected the first town clerk of Oil Springs, a position he held with the greatest efficiency for a number of years. He was foremost in all progressive movements here, was a charter member of the Masonic fraternity, and filled official positions in the lodge for a considerable period. During his whole life he was an upright, honorable, public spirited man solicitous for the welfare of the community. 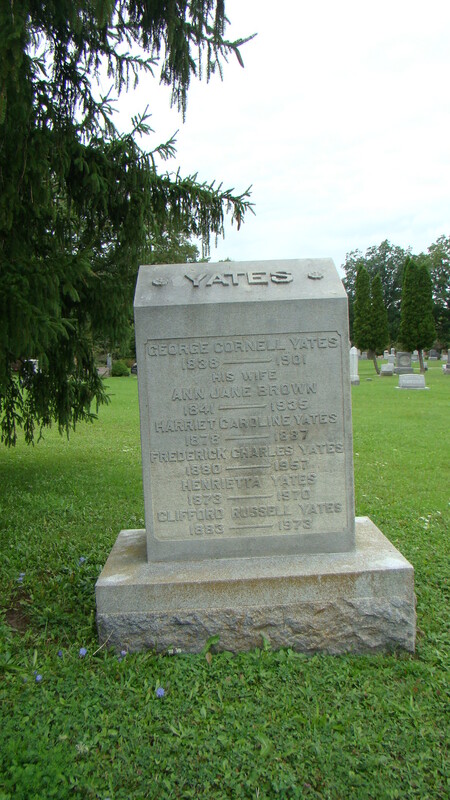 The death of this good citizen took place Sept. 18, 1899, and that of his widow, in the following year, the only survivor of their family being their daughter Mrs. Yates. Henry and Margaret’s daughter Ann Jane Brown was born the 28 December, 1841 in Niagara, Ontario. She appears to be the only child of this couple. This implies that Henry was on the move while his brothers Thomas and Philip stayed in Hastings Co., Ontario. Ann Jane Brown was married on 22 March 1871 to George Yates. 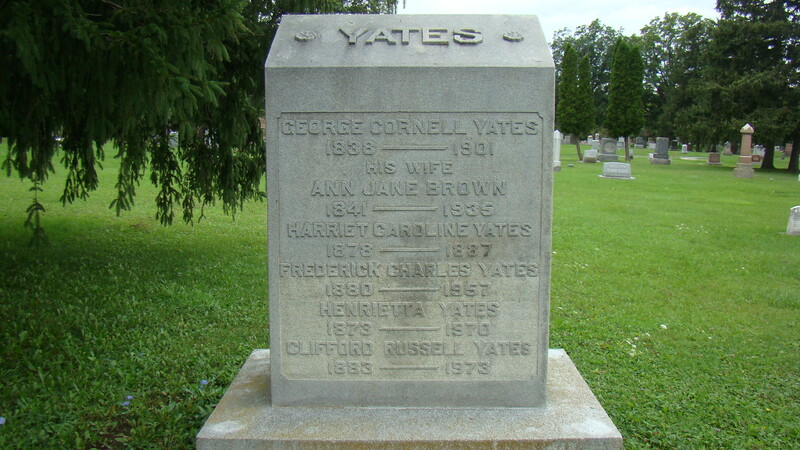 George was the son of Benjamin Yates and Phebe. He was born about 1839 in Leeds Co., Ontario. Ann was born in Niagara to Henry and Margaret Brown. George was a merchant. The marriage took place at the residence of the bride’s parents by Rev. G.A. 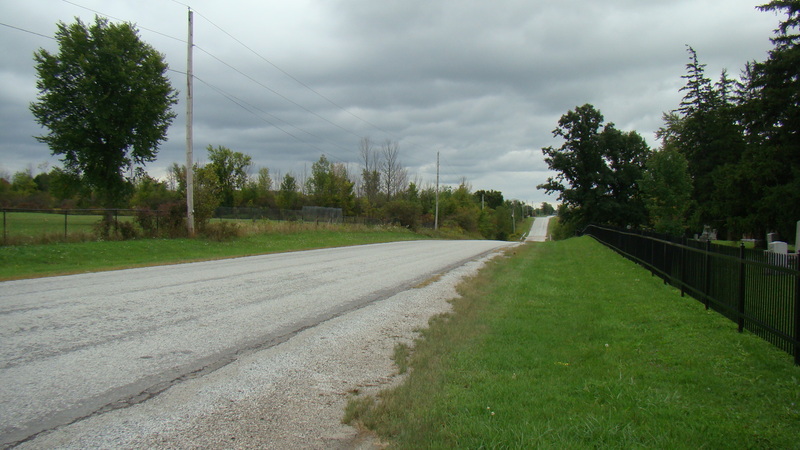 Mitchell in Lambton County, Ontario. Source: Ontario, Canada Marriages, 1801-1928, Archives of Ontario, MS932, Reel 4. These are at Ancestry.com with originals. A search of the 1851 and 1861 Canadian Census did not find Henry, Ann or Margaret Brown listed. So we cannot follow his movements till he appears in 1871. Henry and family appear in the 1871 Canadian Census for Oil Springs, Lambton Co., Ontario, Dist. 4 Lambton, SD, Oil Springs, pg. 1, Ontario. Line 3, 3, 2, 2, Brown Henry, M, age 50, born Ireland, Episcopal, Irish, Town Clerk, M., Brown, Margaret, F, age 47, born Ireland, Episcopal, Irish, M, Yates, George, M, age 32, born Ontario, [I Meth E], German, Oil Dealer, M, March/ Yates, Ann Jane, F, age 29, born Ontario, Episcopal, Irish, M.
Henry is residing in Oil Springs in the 1881 Canadian Census, Oil Springs, Lambton Co., Ontario, District 179, John Q. Branerd, pg. 9. Line 20, 41, 41, Brown, Henry, M, age 61, born Ireland, C. of England, Ireland, C. of E., English, Village Clerk, M. Brown, Margret, F, age 58, born Ireland, Ch of England, Scotch, M. Line 22, 42, 42, Yates, George, M, age 43, born Ohio, Meth E, Irish, Store Keeper, M. Yates, Ann. James F age 40, born Ontario, Meth E., Irish, M.
Henry is still living in Oil Springs in the 1891 Canadian Census for Oil Springs, Lambton Co., Ontario, Dist. 81, East Lambton, 4 April 1891, pg. 10. Line 1, W2/9, 44, Brown, Henry, M, age 70 M, born Ireland, parents Ireland, CE, Lan Agent. Brown, Margret, F, age 66, M, [ ] Ireland, parents born Ireland, CE, both can read and write. Anna Jane Brown married on 22 March 1871 to George C. Yates. He was born in Athens, Leeds Co., Ontario on 2 September, 1838 a son of Benjamin Yates 1812 to 1888 and Phoebe Cornell (1813-1888). 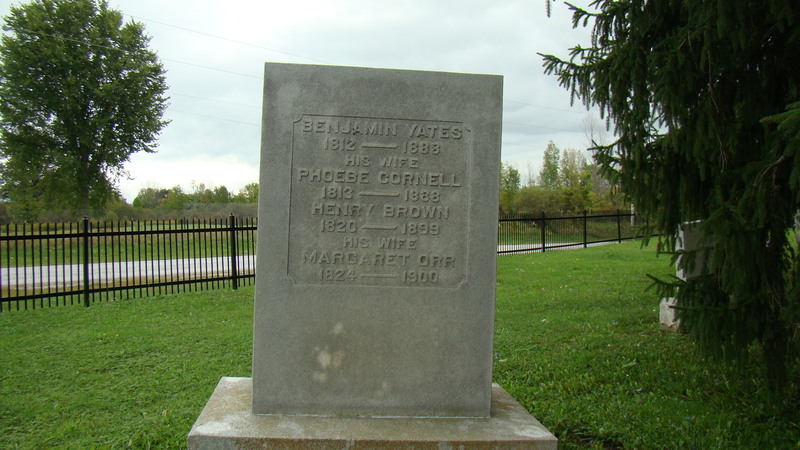 Both were born in Canada and moved to near Sarnia and died there leaving George Cornell Yates and a sister Sarah. Sarah apparently later married William Yates. In 1861 George C. Yates moved to Oil Springs and worked in Oil production and later as a merchant. He worked in the mercantile business until 1894, when he lost his business. Yates was also the postmaster for twenty years at Oil Springs, as well as the tax collector and assessor. In politics he was a staunch Reformer and he died on November 16, 1901 and was survived by his widow. Anna Jane Yates then left Canada and moved to Connecticut, settling in Waterbury. Her home was on 360 Highland Ave. Anna Jane died on 9 November 1935 being ill for several years. She was 94 years old. She was survived by her six children. The body was taken back to Oil Springs for burial in the family plot. 1. Edmund H. Yates born 31 December 1871 in Oil Springs, Lambton Co., Ontario, He married Susan Shepherd of Enniskillen and they had Eunice, Helen V. and Georgina E. Yates. He was educated in a business college in Chatham, Ontario. He moved to New Haven, Connecticut where he worked for the New York, New Haven and Hartford Railway. There is a birth record for Edmund Henry with the county. 2. Henrietta Yates was born 7 December 1873 Oil Springs, Lambton Co., Ontario.She moved to Connecticut where she worked as a nurse. She did not marry. She died on 5 June 1970 in Waterbury, Litchfield Co., Connecticut at age 96. . She is buried in the Oil Springs Cemetery. Miss Yates’ Rites to Be Private: Private funeral services for Miss Henrietta Yates, 360 Highland Ave., retired industrial nurse at Anaconda American-Brass, will be held Monday at the Alderson Funeral Home, 70 Central Ave., followed by cremation. Burial will be in Oil Springs Cemetery in Canada at the convenience of the family. She died Friday at Waterbury Extended Care Facility, Watertown, after a long illness. 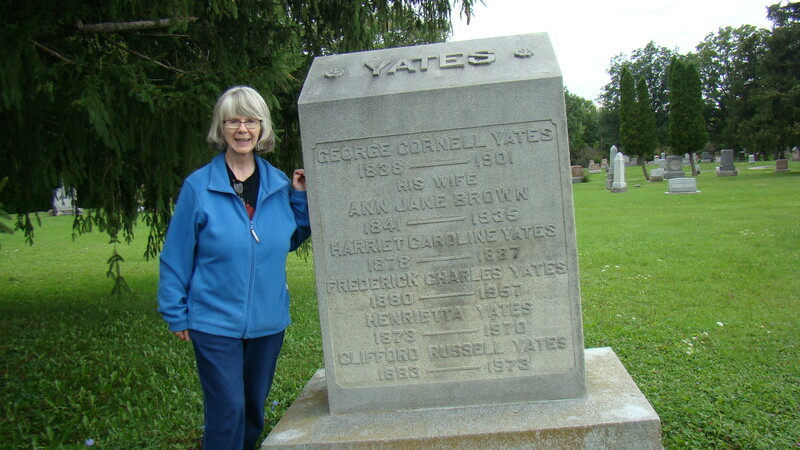 Born in Oil Springs, Ontario, daughter of the late George Cornell and Ann Jane (Brown) Yates. She was a nurse at Anaconda for 25 years, retiring a number of years ago. She attended St. Barnabus Hospital School of nursing in Minneapolis, Minn. Surviving are a sister, Gertrude A. Yates and a brother, Clifford R. Yates both of this city. There are no calling hours. Friends are asked to omit flowers. 3. Charlotte G. Yates was born about 1875 in Lambton Co., Ontario. She became a nurse in Sarnia and then moved to Minneapolis. 4. Harriett Caroline Yates was born about 1878 in Lambton Co.Ontario and died about May 1887 in Oil Springs. She is buried in the Oil Springs Cemetery. 5. Frederick Charles Yates was born about June 1880 in Oil Springs, Lambton Co., Ontario. He died in 1957 in Oil Springs and is buried in the Oil Springs Cemetery. He married a Mary Wasel of Elizabethport, NJ. He worked as a machinist in New York. 6. Clifford Russell Yates was born 4 March 1883 in Oil Springs. He worked in the office of the Oil Springs Chronicle and learned the printing business. He later worked in the bookkeeping office of Coe Brass Works at Ansonia, Connecticut. He died 13 March 1973 in Waterbury, Litchfield Co., Connecticut. He is buried in the Oil Springs Cemetery. 7. Gertrude Alma Yates was born 13 August, 1886 in Oil Springs. She was known as “Queenie or Queen.” According to family news she didn’t marry staying at home to care for her aging mother. She was cremated 16 April 1976 in Corona, Riverside, California. Service were held at 3 pm at the First Congregational Church, Grimes Funeral Home. A letter from the newspaper indicates that she may have married but her married name is not clear. She may have had Winifred (Allen) Arnold, Corona, California, Olleta (Clarence) Jones, Independence, MO., Peggy (Richard) Mulock, Palo Alto, Calif., Darlyn (Herb) Jahn, Banning Calif., and Helen (Bob) Atwood also of Banning, Calif. Sons would be Alton, Oceanside, Kenneth, Culver City, Neville, Banning, CA and Larry, Rolla, Mo. The information is from an obituary from the Corona-Noroc Independent which was not copied but abstracted. Mrs. Ann Yates. Mrs. Ann J. Yates, widow of George C. Yates, died at her home 360 Highland avenue, yesterday. She was born in Old Fort Niagara, Ontario, Canada, December 29, 1841, the only child of Henry and Margaret brown, formerly of Sterling, Ontario. Mrs. Yates was a resident of Oil Springs, Ontario for 50 years and of Ansonia for five years. She came to Waterbury in 1917. Mrs. Yates is survived by three sons, Edmund H. and Clifford R., both of this city and Frederick of Thomaston; three daughters, Gertrude and Henrietta of this city, and Charlotte of Minneapolis, Minn. Private funeral services will be held tomorrow. Burial will be in Canada. The funeral was held from Centenary United Church, Oil Springs on Wednesday afternoon at 2 o’clock. The service was conducted y the Rev. G. Oliver. Interment was at Oil Springs Cemetery. There is a short mention of the of Henry Brown in the local newspaper for September 20, 1899. 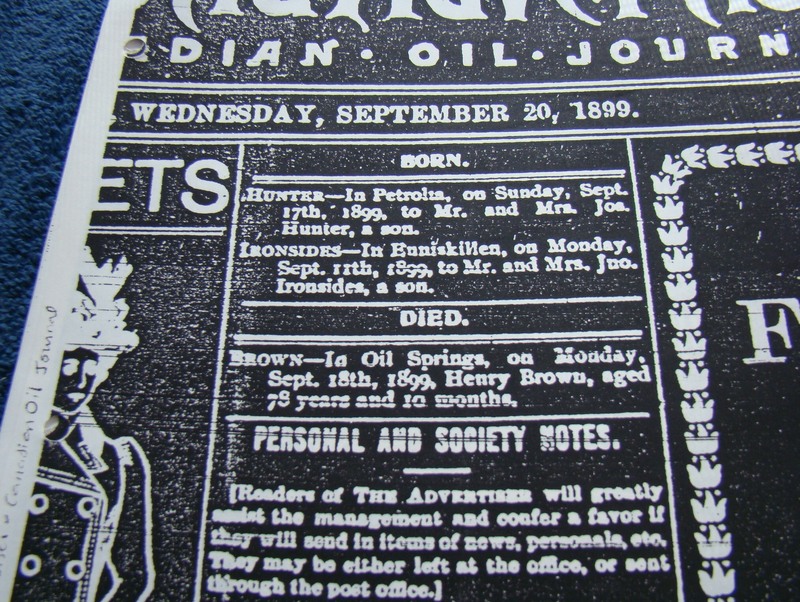 Died – Brown in Oil Springs on Monday Sept 18th, 1899, Henry brown, aged 78 years and 10 months. His death is also recorded in the Schedule C of Deaths. page 479, Brown Henry Sept 15, 78 – 10 -13 age, born Ireland, _________disability, Ch. of England. Apparently Henry was a lieutenant out of Oil Springs. He is on the roll call for 1837-1838 – Lambton County L’extracts, Canada’s Gallant Volunteers. As usual there is more to be done in researching this family. This entry was posted in Anna Jane Brown Yates & George Cornell Yates Family, Connecticut, Henry Brown 1820 to 1899, Lambton Co., Margaret Orr 1824 to 1900, Minnesota, Oil Springs, Oil Springs Cemetery Lambton County and tagged Lambton County HIstory, Obituaries in the Corona newspapers, Waterbury Connecticut, Waterbury Republican, Yates surname on August 29, 2014 by BJ MacDonald.